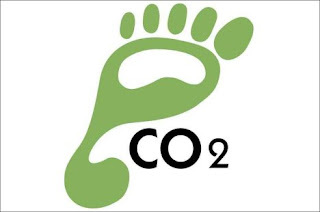 Carbon dioxide is in the air and in the news, did you know that a building’s carbon footprint is the amount of CO2 it produces during its operations and activities? Well, CO2 is a greenhouse gas that contributes to negative global climate change. It is the highest in more than 750,000 years in our atmosphere today. These have been the warmest 22 years recorded since 1980. Scientific consensus has shown that a growing green movement and common sense dictate that carbon must be reduced. Buildings in the U.S. account for 39 percent of per year more than any other sector. Buildings in the United States alone are responsible for more CO2 emissions than any other country except for China. In order to provide heating, cooling and lighting or to power appliances and electrical equipment, most of these emissions come from fossil fuel combustion. Robert Backus, CEO, Omega Institute, Rhinebeck, N.Y. says “In the 21st century, it has become evident that we need to change the way we relate to our planet if we expect our children to inherit a clean, livable planet.” Omega Center for Sustainable Living has become the first green building in America to achieve both LEED Platinum and Living Building Challenge certification, and has the highest performance standards possible today. When it comes to buildings, there are two aspects to a carbon footprint. The first aspect is 18 percent of a carbon’s footprint is created within the first year of the buildings construction. You must include the building design, construction and operation. Also, be sure to select low-emission factors such as transportation of materials, reducing construction waste, salvaging materials during the demolition and lowering energy and operational costs. The second aspect is reducing a building’s carbon footprint also produces major benefits such as the most obvious one cutting costs. The others include: employment engagement is improved, rents can be higher, and including image and marketability. Another major benefit is that sustainable buildings with good LEED or BREEAM scores are often more acceptable to planners and there maybe incentives or fewer disincentives to build. In case you’re wondering what BREEAM stands for, it is an environmental assessment method and rating system for buildings, with 200,000 buildings with certified BREEAM assessment ratings and over a million registered for assessment since it was first launched back in 1990. In order to measure your buildings footprint, a good tool to have is a carbon footprint calculator and whole-building energy-model tool that is publicly available to software tools.